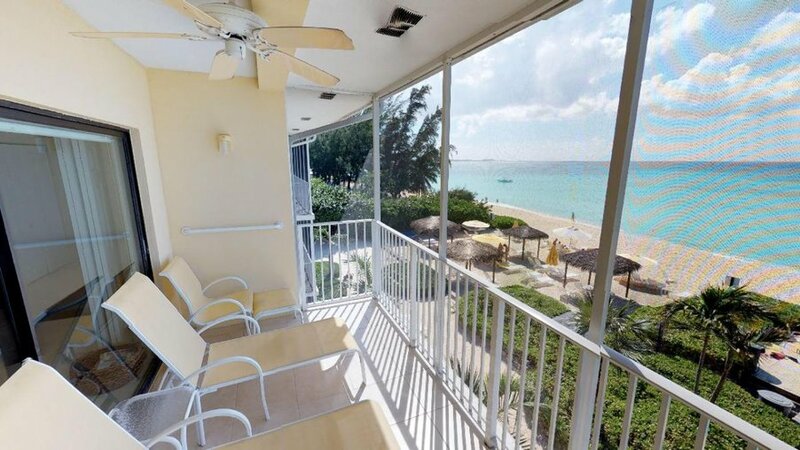 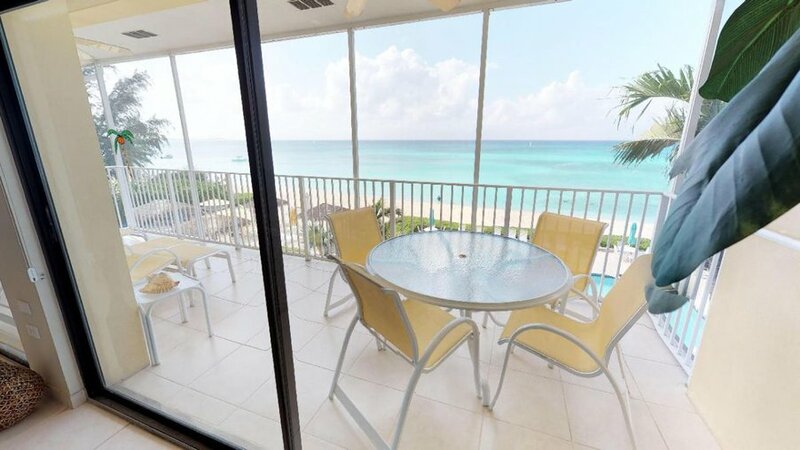 The condo's panoramic view is the island's best. 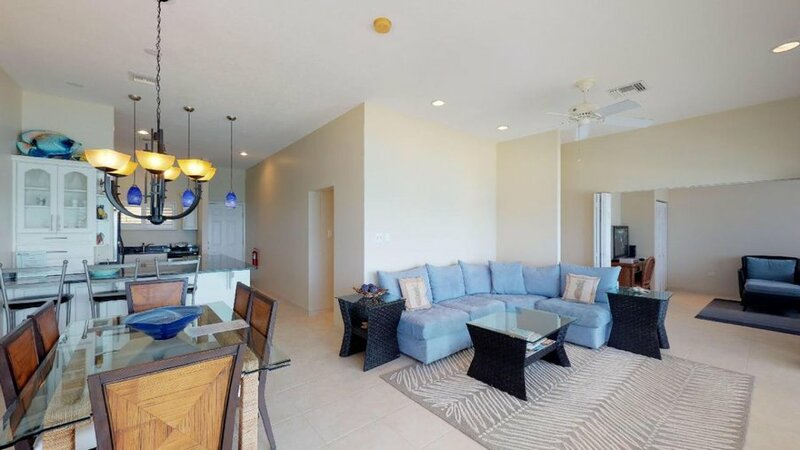 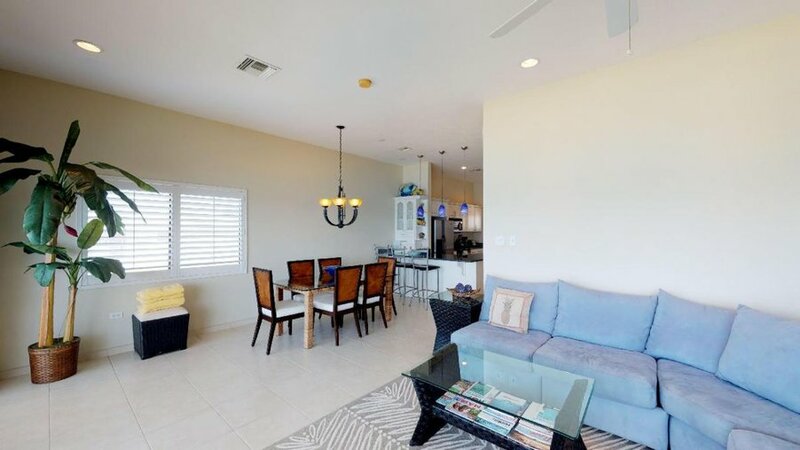 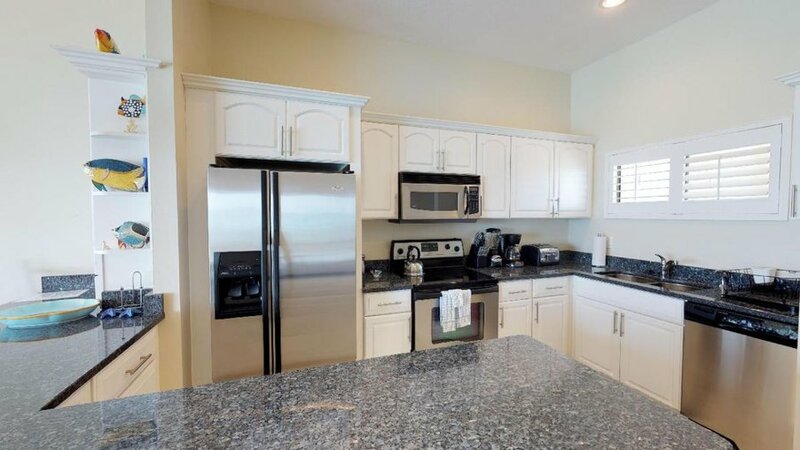 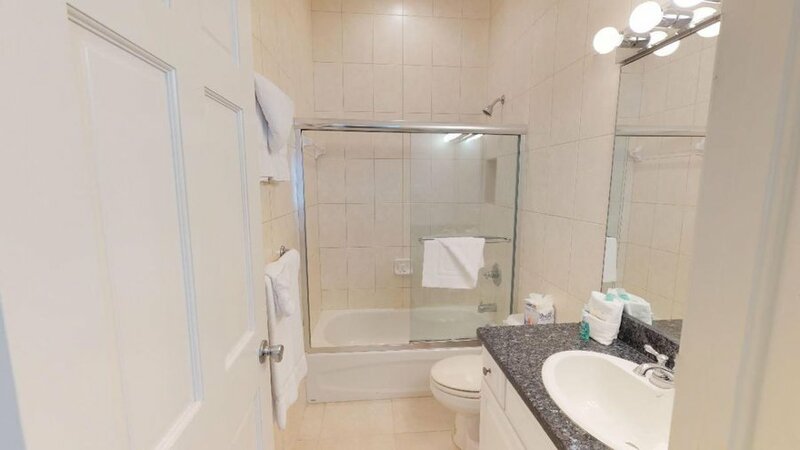 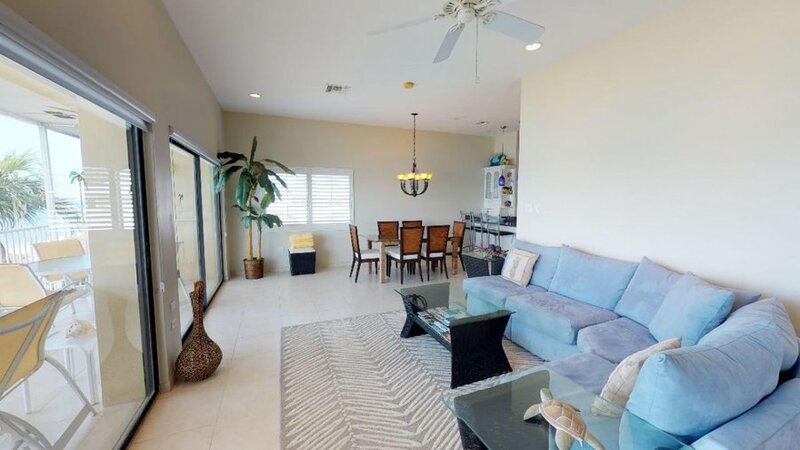 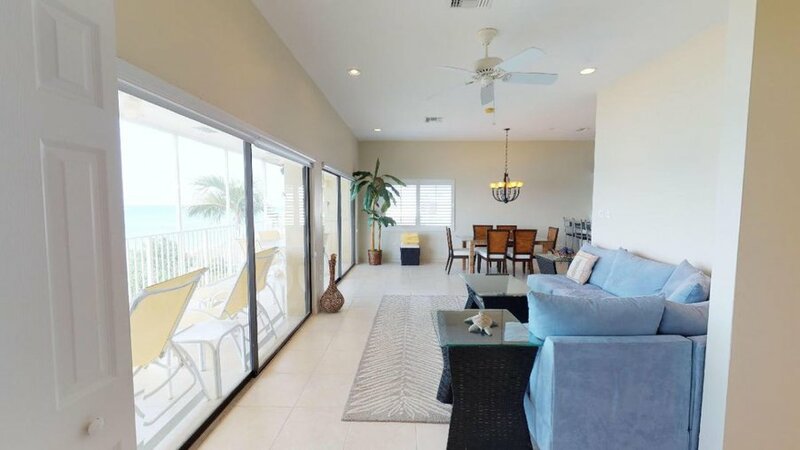 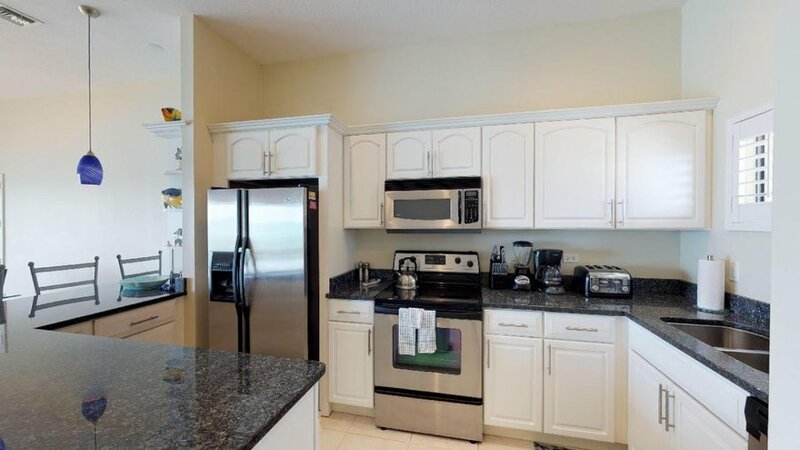 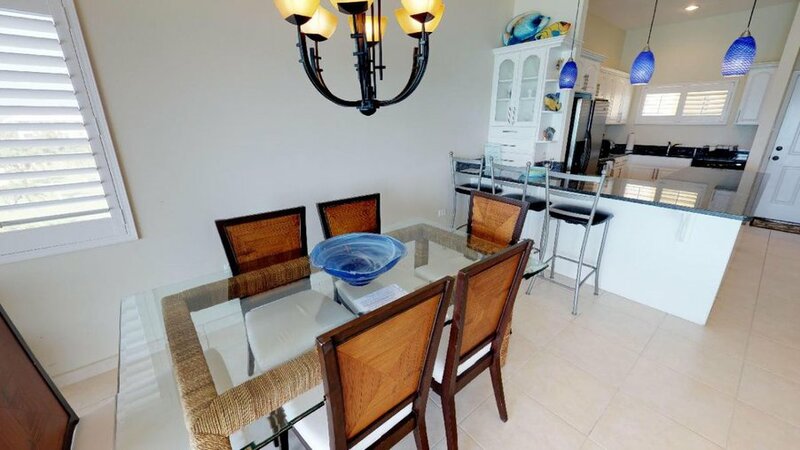 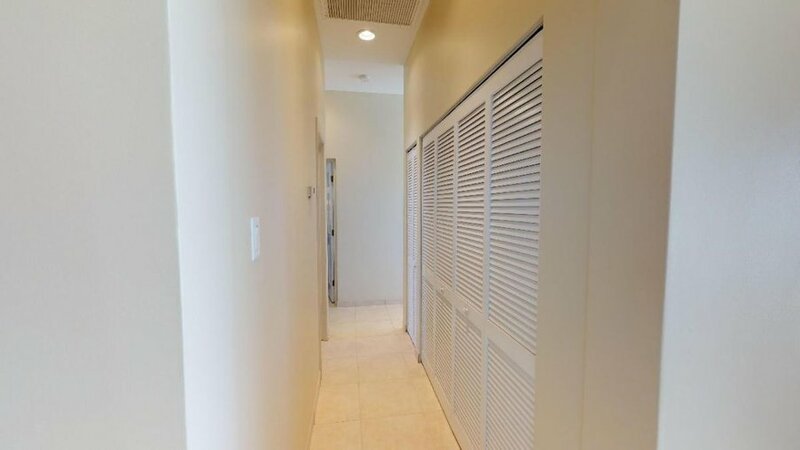 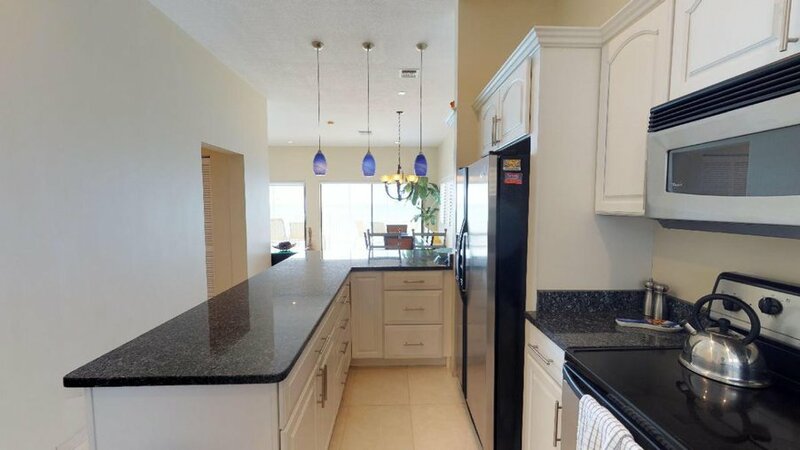 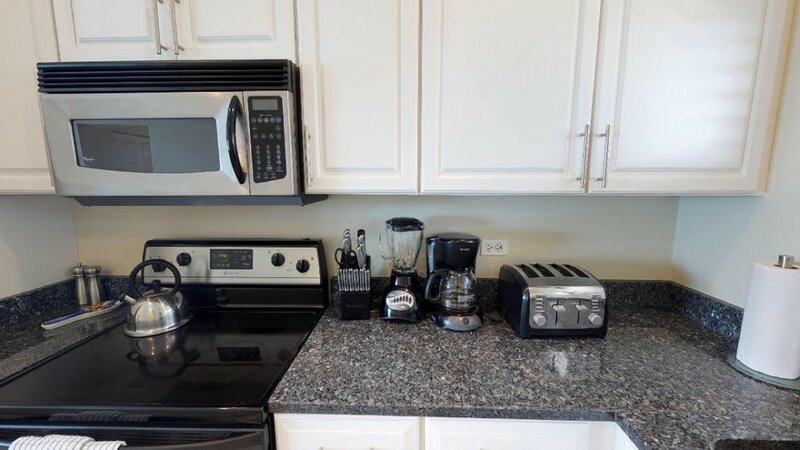 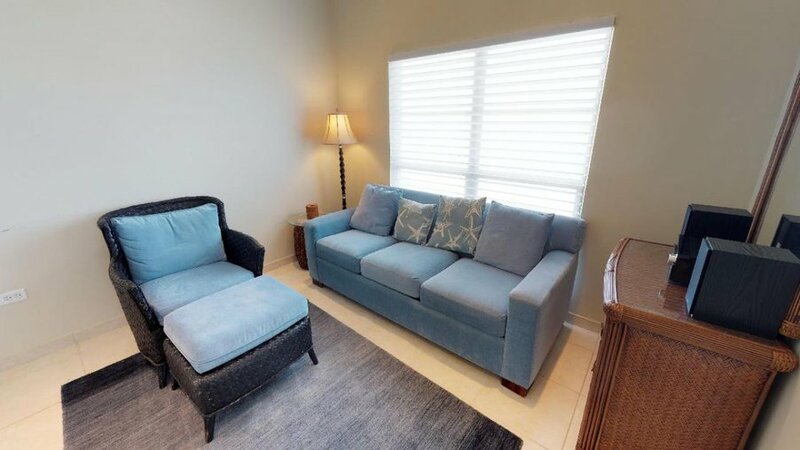 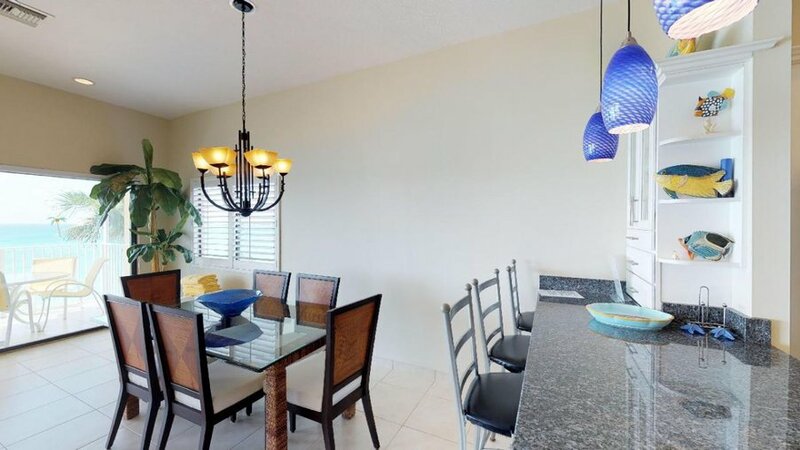 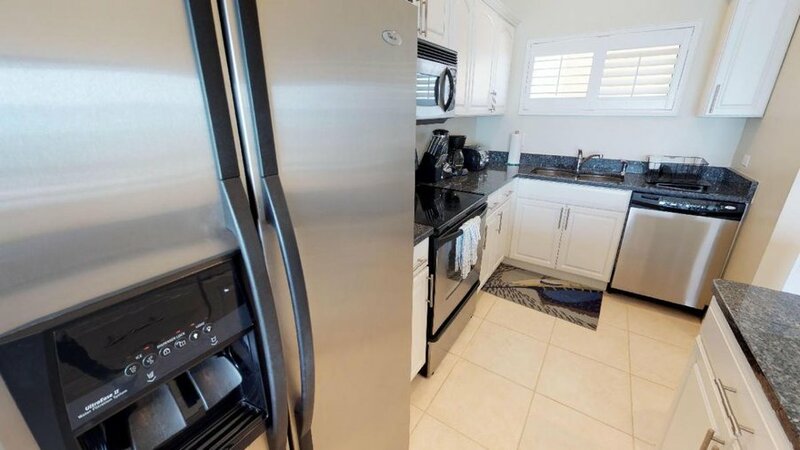 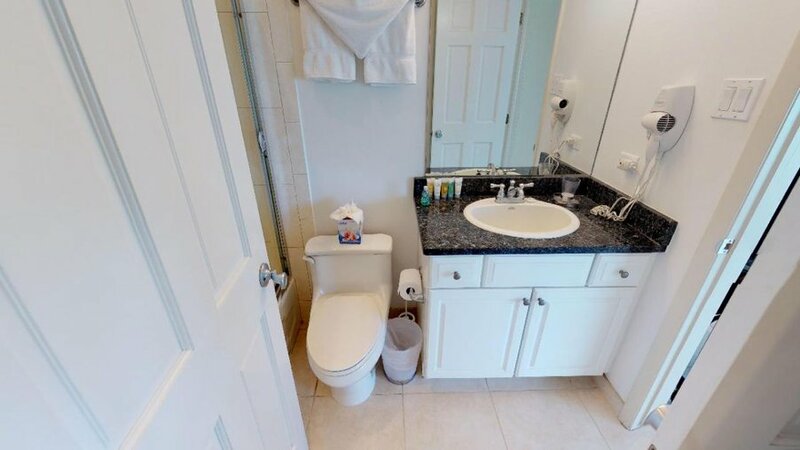 This spacious condo has a living room, dining room, den, fully equipped kitchen, and screened balcony. 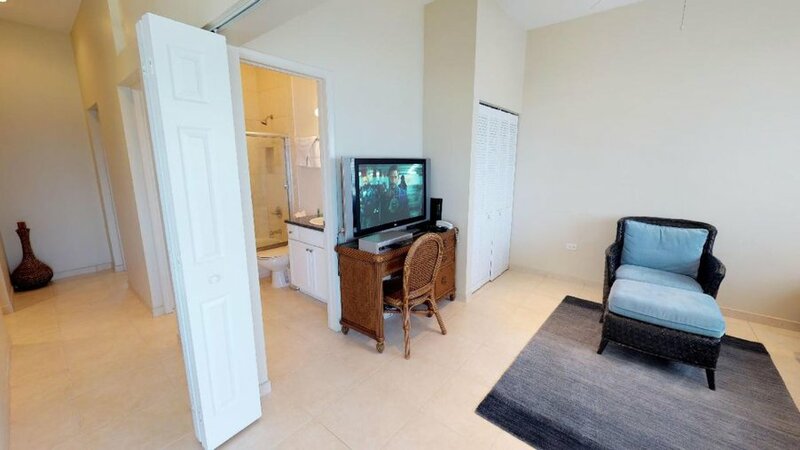 Equipped with a flat screen television, the den serves as the TV room. 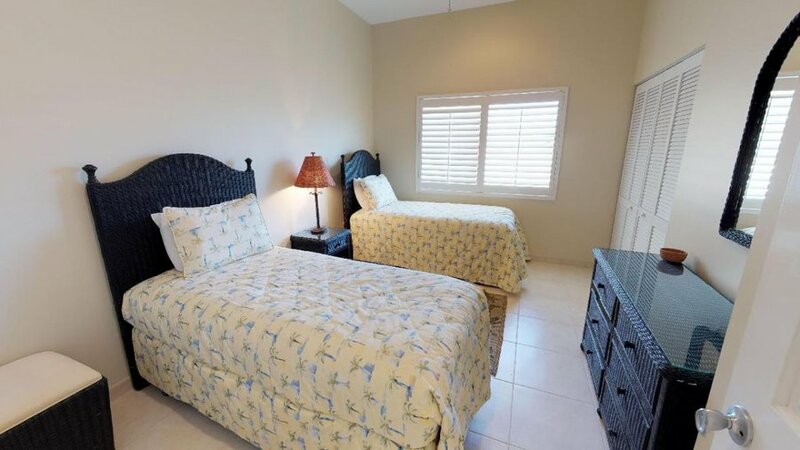 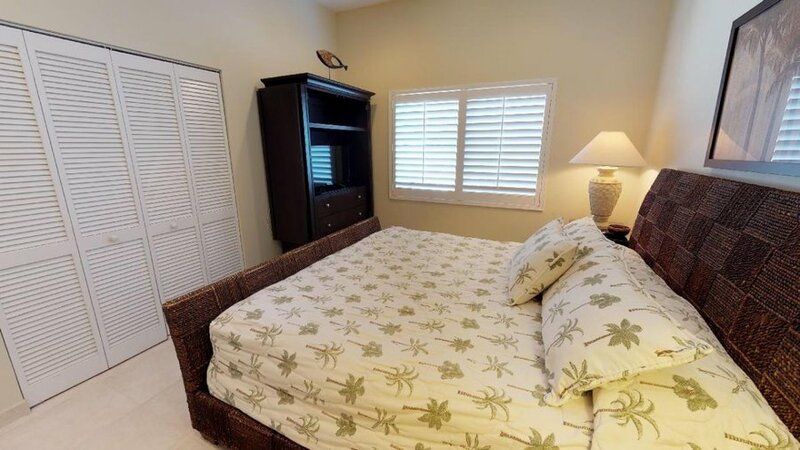 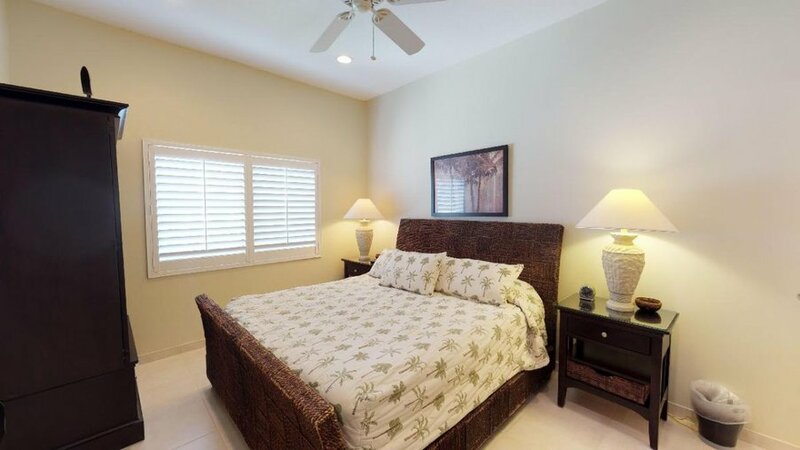 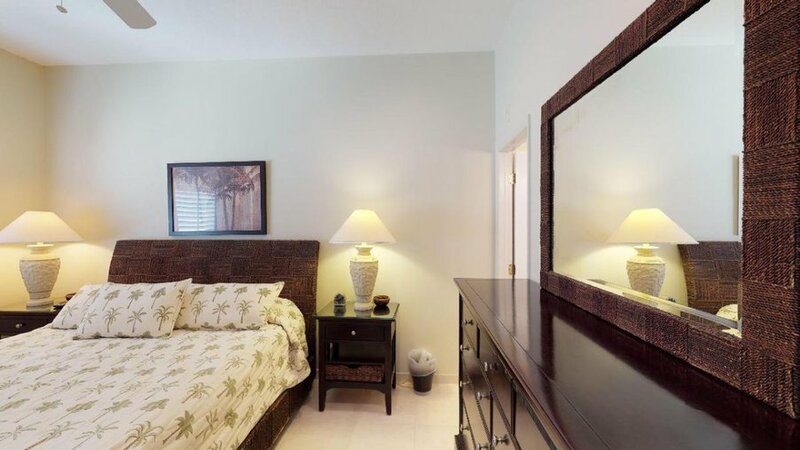 The master bedroom is furnished with a king bed and a flat screen television... the 2nd bedroom, with twin beds. 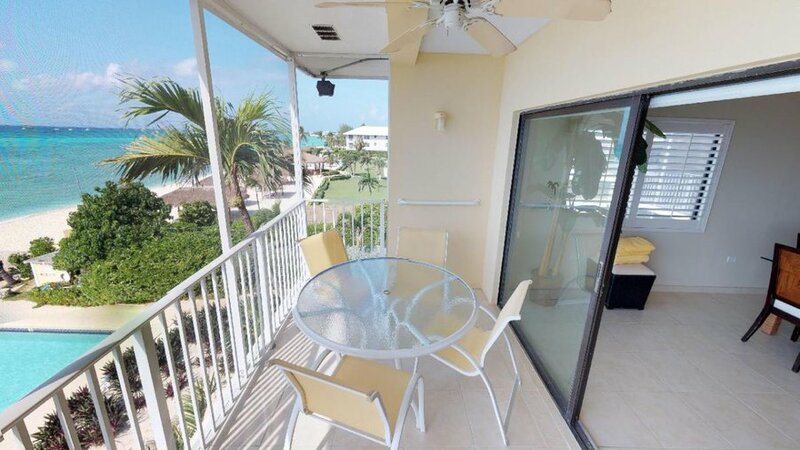 Enjoy romantic dining on your private, screened balcony while watching a memorable sunset.